If your ConvertBox is not showing on your page then most likely it is due to one of the following common reasons. 1: Is your ConvertBox on the wrong website dashboard? Check that the website dashboard you have created your ConvertBox on is the same site you are trying to show your ConvertBox on. Each site in your account is independent and has its own individual dashboard. If you create a ConvertBox on the dashboard for mysite.com then it will only shown on pages of that site. If you want to show it on a different site then you will need to add a new site to your account and move the ConvertBox to a campaign on that site. 2: Is your ConvertBox turned on? Check that your ConvertBox is activated and turned on at the toggle switch. 3: Have you installed the ConvertBox script on your site? Before we can display your ConvertBox or track visitors you must install our embed code on your site using one of our simple installation options. 4: Do you have the correct display rules set? 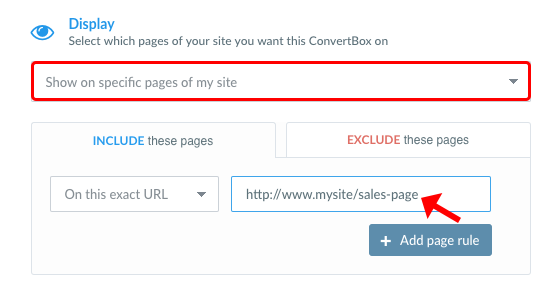 If you have set the ConvertBox to only show on specific pages, the page URL is correct. To double check just copy and paste it to your browser. 5: Has your countdown timer expired? Check that the date set for your countdown timer has not expired and set in the past. Once the date/time deadline is met the ConvertBox will stop showing to all visitors. First, check if your timer is set to stop showing the ConvertBox when it expires. 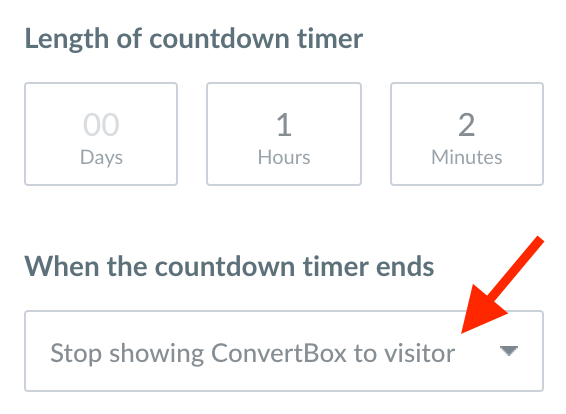 If this option is set and you previously viewed your ConvertBox triggering the countdown timer and the timer has since expired, your ConvertBox will no longer show to you. 6: Have you set a limited number of views? If you have set your ConvertBox to a limited number of views set so a visitor can only view the ConvertBox a certain amount of times. The number of views may have been met already for you. 7: Do you have specific visitor targeting rules set? Check your visitor targeting rules are not preventing you from seeing the ConvertBox. For example. 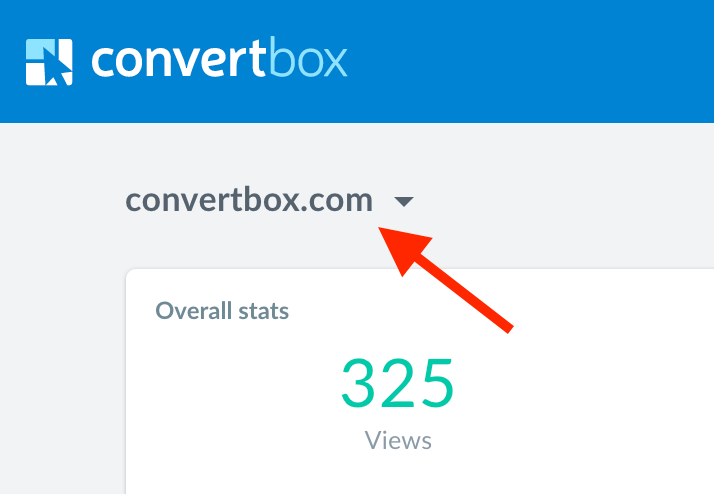 If you have set your ConvertBox to only show to New visitors and you have previously visited your site the ConvertBox will not show to you. If you want to view your website as a new visitor use Google’s Chrome browser and open an incognito window ( File > New incognito window ) then enter your sites url. If you want to repeat this test you must close all open Incognito windows before opening a new one. Don’t panic, our friendly support team is here to help! Just submit a support ticket with the name of your ConvertBox and the page url it should show on. Our team will investigate the issue and get back to you as soon as possible. Don't worry our friendly support team is here to help!